Assure Tight seals are versatile, strong, easy to use, and are a fully adjustable plastic seal. Assure Tight seals are especially useful where a very small opening is available for seal installation. This newest length features a Self-Release Tab for tool-less removal. Tool-less removal is a valuable feature for use in areas where sharp tools are not allowed, such as in airports, around food & drink carts, and schools. 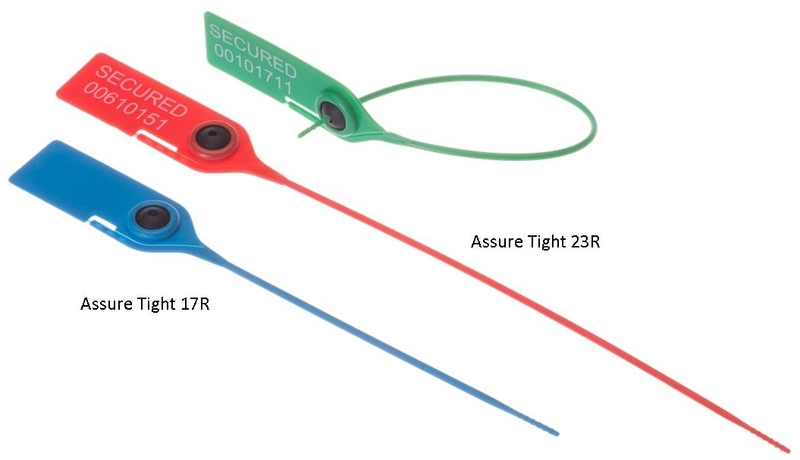 Stock Assure Tight 17R seals are marked SECURED and have Serial Numbers using the latest Thermal marking technology.